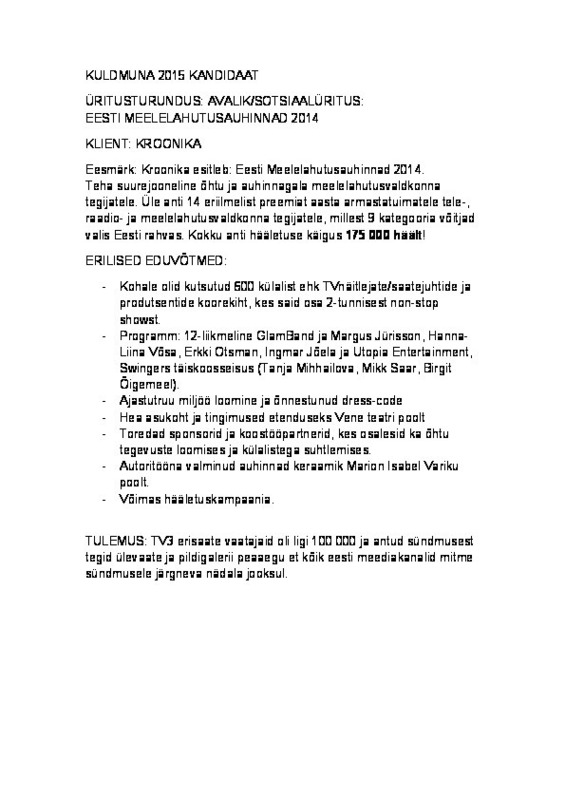 Kroonika presents: Estonian Entertainment Award 2014. 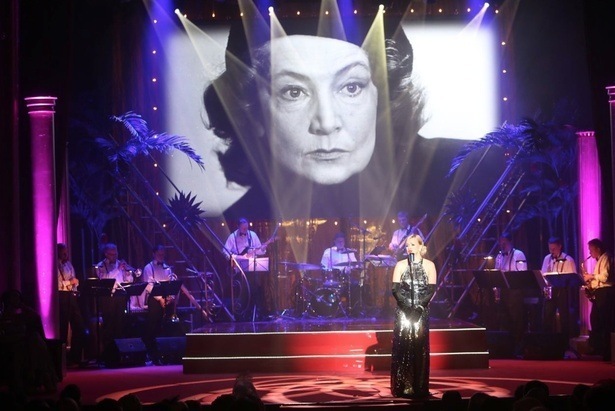 The goal was to produce a grand Old Hollywood style evening and award ceremony to the 600 entertainment celebrities working in entertainment business – in TV, in raadio, in shows etc. 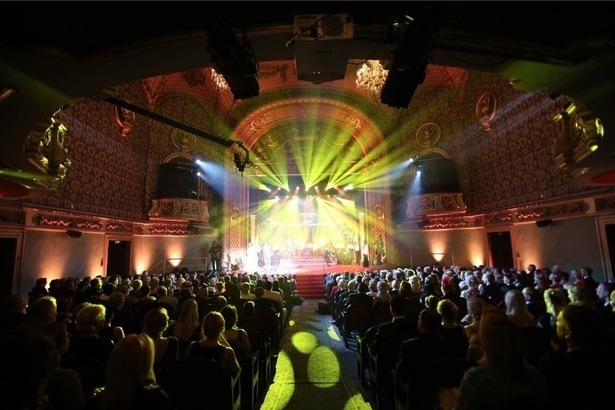 During 2-hours non-stop LIVE ceremony, 14 different awards were presented of which 9 were selected by Estonian people. During voting 175 000 votes came in and the show was watched by more than 100 000 viewers on TV.